↑ 1.0 1.1 1.2 貓戰士外傳之一-藍星的預言(上下冊不分售). 晨星網路書店. 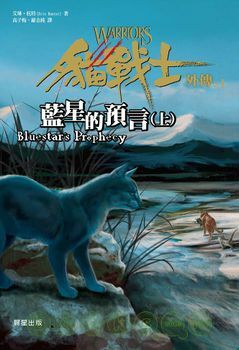 ↑ Warriors Super Edition: Bluestar's Prophecy Kindle Edition. Amazon. 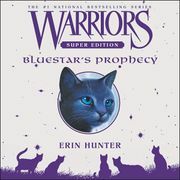 ↑ Warriors Super Edition: Bluestar's Prophecy Library Binding – July 28, 2009. Amazon. 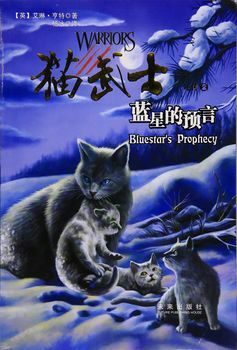 ↑ 4.0 4.1 Warriors Super Edition: Bluestar's Prophecy Hardcover – July 28, 2009. Amazon. 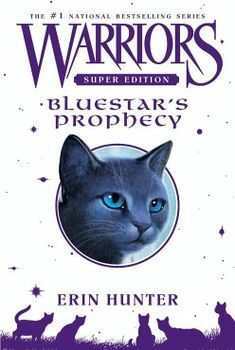 ↑ Warriors Super Edition: Bluestar's Prophecy Paperback – June 1, 2010. Amazon. ↑ 6.0 6.1 猫武士外传之2:蓝星的预言 平装 – 2010年10月1日. Amazon. ↑ 7.0 7.1 Онлайн книга - Пророчество Синей Звезды. Начало. loveread. ↑ 8.0 8.1 Онлайн книга - Пророчество Синей Звезды. Выбор. loveread. ↑ 9.0 9.1 La guerre des Clans - Hors-série : La prophétie d'Etoile Bleue Broché – 4 juillet 2013. Amazon. ↑ La guerre des clans - La prophétie d'Étoile Bleue Format Kindle. Amazon. ↑ Warrior Cats - Special Adventure. Blausterns Prophezeiung Kindle Edition. Amazon. ↑ Warrior Cats - Special Adventure. Blausterns Prophezeiung. beltz. ↑ 13.0 13.1 Warrior Cats - Special Adventure. Blausterns Prophezeiung Gebundene Ausgabe – 9. September 2013. Amazon. ↑ 14.0 14.1 Spezialausgaben Special Adventure Blausterns Prophezeiung. Warriocatrs.de. ↑ 15.0 15.1 Warrior Cats - Special Adventure. Blausterns Prophezeiung: Gelesen von Marian Funk, 6 CDs in der Multibox, ca. 8 Std. 15 Min. Audio-CD – Audiobook, 1. Oktober 2013. Amazon. ↑ 16.0 16.1 La profezia di Stellablu. 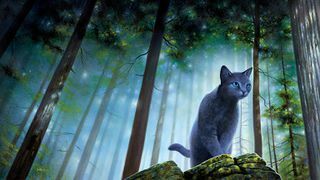 Warrior cats Copertina flessibile – 15 ott 2014. Amazon. ↑ WARRIOR CATS 7. La profezia di StellaBlu Formato Kindle. Amazon. ↑ 18.0 18.1 Sinitähden tarina. risingshadow. 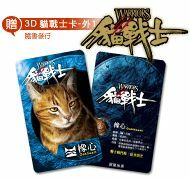 ↑ Warrior Cats - Special Adventure. Blausterns Prophezeiung Taschenbuch – 13. Juli 2015. Amazon. ↑ 20.0 20.1 『簡體書』猫武士外传：蓝星的预言. Megbook. ↑ 21.0 21.1 Blauwsters voorspelling. bookspot. ↑ 22.0 22.1 Эрин Хантер: Пророчество Синей Звезды. loveread. ↑ 23.0 23.1 Blåstjernes profeti. norli. ↑ 25.0 25.1 Przepowiednia Błękitnej Gwiazdy. Wojownicy. Superedycja tom 2. lubimyczytac. 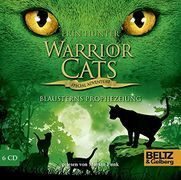 ↑ 26.0 26.1 Warriors Super Edition: Bluestar's Prophecy: The Warriors Super Edition Series Audio CD – Audiobook, CD, Unabridged. Amazon.